COPPERBELT University student, Lorita Mwango and men’s national champion, Andrew Kayonde got befitting Easter presents by winning the 2015 Zambia Closed Chess Championships in Lusaka. 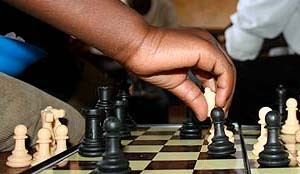 Mwango won the Zambia Closed Chess tournament with a perfect seven score. In a seven-round tournament in the women’s section, Mwango won all her games to record the first perfect score of the year and can now rightly brag as the new queen of Zambian chess. Mwango has now set a new standard in Zambian women chess and in this tournament, she defeated the nation’s most celebrated player, Epah Jere in the second round. Jere, however, managed to finish in distant second on 5.5 points after losing only once to Mwango, drawing with Phyllis Mwilola and winning the rest. Finishing third was Linda Hamoonga on five points and then the upcoming Bwalya Lubuto on four points, losing only to the three who finished ahead of her. In the men’s section, Kayonde swept aside the competition to win the Zambia Closed title on 8.5 points, 1.5 better than four players who finished on seven points after nine rounds. Daniel Jere, a hot favourite going into the tournament, was not among those on seven points and was found only down the ladder on five points. Kayonde’s 8.5 points meant that he never lost a game but drew just one with Jere in the fifth round when both were on a clean four points going into the fifth. After winning the opening four matches over Felix Lungu, Brian Banda, Justin Daka and Tabala Simasiku, Kayonde drew against Jere and returned to his winning cruise where he then downed Godwin Phiri, Geoffrey Luanja, defending champion Richmond Phiri and then Juda Simulundu. 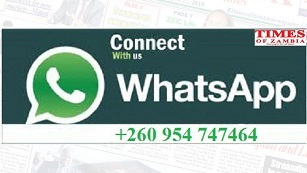 The eighth round win over the title holder handed him the crown while the four who finished on seven points being Luanja, Daka, Godwin Phiri and Robby Kameya while Phiri, Lesley Chikuse and Terence Chasaya where joint third on 6.5 points. A group of 10 players including Michael Kaoma finished on six points with James Dimba joining four others on 5.5 points and Jere leading 15 more on 5.5 points.